Master Marine AS and Crossway Holdings, both leaders in offshore accommodation services, have agreed to merge operations. The merger will be executed through the formation of a new holding company majority owned by Nordic Capital and with Paragon Outcomes Management LLC being a significant minority holder. The current holding companies of Master Marine and Crossway Holdings will be owned 100% by the new joint company. The Group will build upon its successful track record of 100% uptime performance and solid contract backlog to create a top-tier accommodation services business. “We are delighted by the continued strong support from Nordic Capital and welcome Crossway Holdings and Paragon to the Group,” said Bjorn Henriksen, CEO of Master Marine AS. ”We look forward to continue to build on the solid platform this combination provides us for the future”. Following completion of the merger, the Group will hold two high end accommodation jack-up rigs, Haven and Crossway Eagle, currently contracted to Equinor and Total respectively. 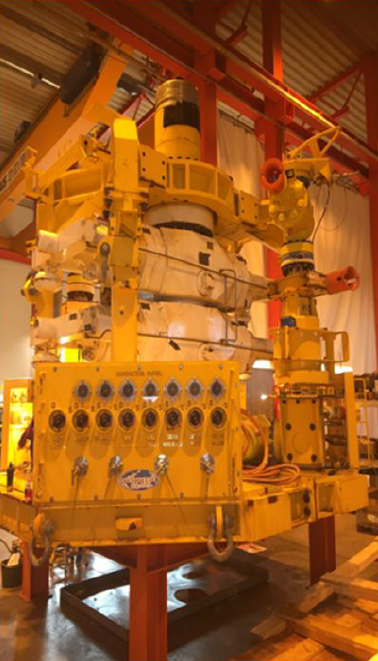 In addition, the Group will control a further high-end accommodation jack-up rig currently under construction at DSIC Offshore in Dalian, China which will be available for contracting in 2019. The current management team of Master Marine will be appointed management of the Group. 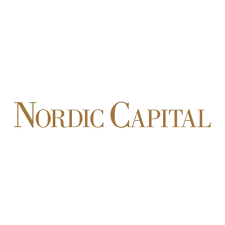 “We are extremely pleased that Nordic Capital and the management team of Master Marine AS embody our own vision to thoughtfully build a premier accommodation business over the next several years,” said Frank Tripoli, Managing Partner and Chief Investment Officer of Paragon Outcomes. Henrik Bakken, Director at the Advisor to the Nordic Capital Funds, further commented “Master Marine has over the last decade set the benchmark for offshore accommodation on the Norwegian Continental Shelf. Together with Paragon Outcomes and Crossway Holdings we now enthusiastically commence the journey toward becoming the preferred and leading high-end accommodation provider”. The merger is subject to customary approvals. Closing of the merger transaction is expected during Q2 2019. Master Marine AS is a Norwegian accommodation provider, with a strong track record in providing safe, efficient, reliable and comfortable accommodation services. The company has since commencement of services provided clients with 100 % uptime and strong HSE results. A leader in offshore jack-up accommodation. Crossway Holdings owns two accommodation jack-up rigs, the Crossway Eagle and Crossway Dolphin, offering dual-use features in accommodation and construction support. For more information, visit https://www.crosswayholdings.com. Founded in 2009 and based in New York City, Paragon Outcomes Management LLC is a SEC-registered private investment firm focused on real assets and credit-oriented investments. For more information, visit https://www.paragonoutcomes.com. November 2017 – FIELDS Group, a renowned industrial holding with offices in Amsterdam and Munich, acquires a majority stake in FMTC. FIELDS Group will support the management of the fast growing safety training provider in its further expansion. FMTC is one of the leading safety training providers in the Netherlands for offshore, maritime, wind and industry. With locations in Schiphol, IJmuiden and Dordrecht, the company can serve its client base optimally. Approximately 70 skilled trainers provide the highest quality of safety training according to the highest international standards. Together with founder Rob Bruinsma and the management team of FMTC, FIELDS Group will further build on the strong foundation that has been built in recent years. FMTC, with training locations in Schiphol, Dordrecht and IJmuiden, is a provider of safety training for offshore, maritime, wind and industry. FMTC is fully certified by all relevant parties such as OPITO, NOGEPA, GWO and STCW. FIELDS Group is a renowned industrial holding with offices in Amsterdam and Munich. With its in-house operational taskforce FIELDS Group is directly involved with the development of the group companies. FIELDS Group invests in industrial companies with its headquarters in the Netherlands or Germany. Ratos’s Finnish subsidiary GS-Hydro Holding Oy and its subsidiary GS-Hydro Oy have filed for bankruptcy today at the District Court of Kanta-Häme following consultation with Ratos and GS-Hydro’s lenders. The Board of Directors of Ratos’s Finnish subsidiary GS-Hydro Holding Oy and its subsidiary GS-Hydro Oy have resolved yesterday evening to initiate bankruptcy proceedings and have filed for bankruptcy at the District Court of Kanta-Häme today. The GS-Hydro Group has experienced liquidity and profitability problems for some time, and these became acute when one of the company’s largest customers could not meet its payment commitments to a Group company within the GS-Hydro Group. In recent years, Ratos has, together with the company’s Board of Directors and management, implemented an extensive action programme. In combination with this Ratos has made substantial capital contributions since 2015. This has had effect but has taken long time and the company has also been under pressure in several geographical markets. The company’s situation is primarily the result of a weak development and substantial price pressure in the offshore markets in combination with the company’s insufficiently competitive market position. “First and foremost, we naturally regret the worry and the consequences this situation has had on the company’s employees, customers and suppliers. This is a decision we have tried to avoid for as long as possible,” says Magnus Agervald, CEO of Ratos. “Ratos has supported the company for a long time and worked intensively in recent years to turn earnings around. As recently as last summer Ratos made a previously agreed capital contribution. We have invested a lot of work in the company, but the conclusion in the current situation is unfortunately that conditions do not exist to reverse the trend,” Magnus Agervald continues. “Ratos has a responsibility also towards its shareholders, and after careful appraisal of the situation we have come to the conclusion that it would not be responsible to continue contributing capital in this position. It is a difficult decision that we have carefully considered,” says Jonas Wiström, Chairman of the Board of Ratos. On 31 December 2016, Ratos wrote down the consolidated book value in GS-Hydro by SEK 160m to SEK 0. The consolidated book value of GS-Hydro amounts to SEK -64m as per 30 June 2017. The bankruptcy estate’s administrator, who will be appointed in connection with the commencement of bankruptcy proceedings for GS-Hydro Holding Oy and GS-Hydro Oy, will provide more information about the proceedings within the scope of his authority. GS-Hydro was acquired in 2001 in conjunction with the acquisition of Atle. Today, GS-Hydro has approximately 600 employees in 17 countries. In 2016, sales amounted to EUR 93,7m and operating loss (EBITA) to EUR -15,8m.